We have completed the Cat A office fit out project at Culverdon House in Chertsey. 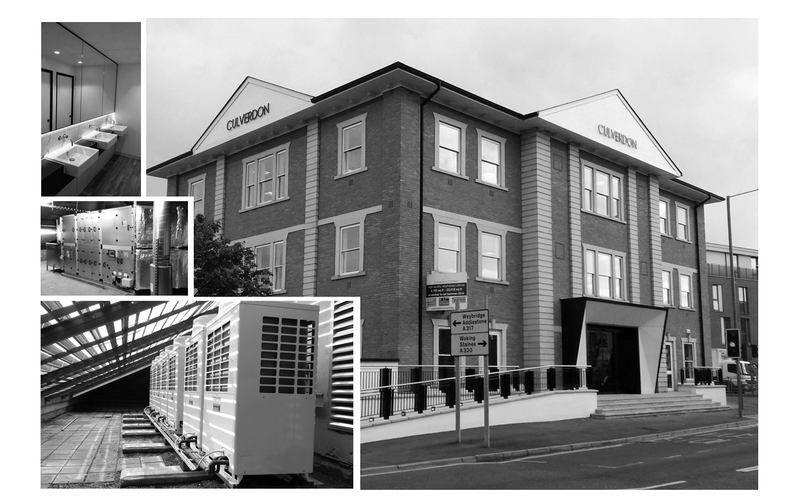 The entire building underwent a total refurbishment and we designed, supplied and installed the mechanical services. This included fresh air ventilation and VRF systems providing heating and cooling. As well as public health services, we also installed an overdoor air curtain and snow & ice trace heating protection to the external steps and ramp.